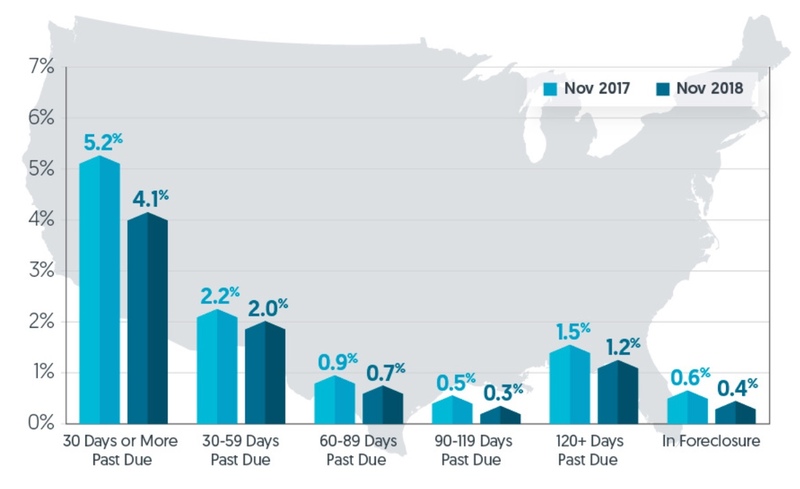 According to CoreLogic, loan performance continues to improve on a national basis, with delinquencies dropping more than 1 percentage point over the 12 months ended in November 2018. Frank Nothaft, CoreLogic's Chief Economist, said the decline was driven by solid income growth, a record amount of home equity and an absence of high-risk loan products. "This put the U.S. homeowner on solid ground. All of this has helped push delinquency and foreclosure rates to the lowest levels in almost two decades, and will provide a cushion if the housing market should turn down," he said. CoreLogic CEO Frank Martell said, "On a national basis, we continue to see strong loan performance. 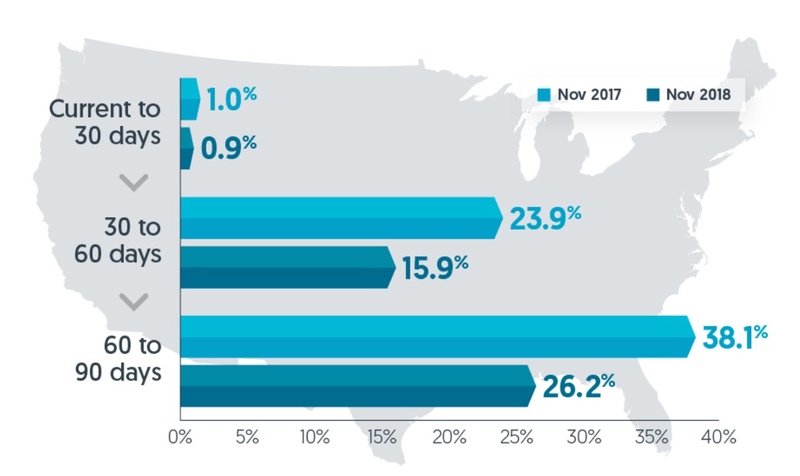 Areas that were impacted by hurricanes or wildfires in 2018 are now seeing relatively large annual gains in the share of mortgages moving into 30-day delinquency. As with previous disasters, this is to be expected and we will see the impacts dissipate over time."